Donald Parsons is Professor of Economics, and Director of the Department's Research Program in Labor and Social Insurance. 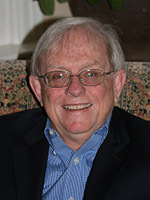 Parsons received his PhD in economics from the University of Chicago in 1970. He came to The George Washington University in January 1998, and served as Department chair from 2003 to 2006. He previously served as professor of economics at the Ohio State University, and has held appointments at the University of Siena (Italy) as Fulbright professor (1991); Centre for Socio-legal Studies (Wolfson College, Oxford University) as visiting scholar (1993), Copenhagen Business School as visiting professor (1998); and Soong Sil University as distinguished foreign scholar, Brain Korea 21 Project, 2001. He joined IZA (Institute for Labor Studies) Bonn as a research fellow in July 2006. Parsons has published articles in a number of leading economics journals, including the American Economic Review, Journal of Political Economy, Quarterly Journal of Economics, and Economica. His primary professional interests are in the areas of labor economics and social insurance design. Although he has undertaken research on a variety of human resource topics, including the economics of intergenerational wealth transfers, trade union behavior, and minimum wages, he has focused on the economics of employment contracting, especially job training, wage policy and worker turnover, and retirement policies. He has also written extensively on the social security disability system, considering both its impact on labor markets and its optimal design. His current work centers on the foundations of the U.S. "unemployment insurance" system, including private severance pay plans.